While some consumers are upgrading to a steam generator or ironing system for larger batch ironing jobs, those appliances aren’t as well suited to quick jobs or the morning shirt iron, so most consumers still have space for a traditional steam iron in the house (even if they have a steam generator as well). Lets visit with the major brands to find out the best irons of 2014. Despite this, the steam iron category has been hit hard in recent years, as Sunbeam product marketing manager for garment care, Sarah Francis explained. “The ironing market overall has been experiencing a slow year-on-year decline in both units and value as people opt for non-wrinkle fabrics and more casual attire,” she said. 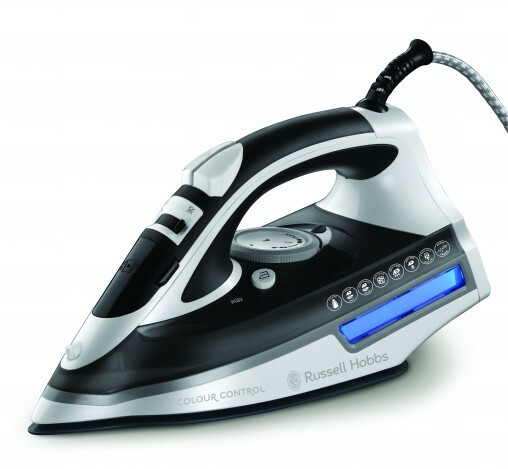 “And although traditional irons still dominate (94 per cent unit and 77 per cent value share) this segment has lost 50 per cent of its volume over the last 5 years. 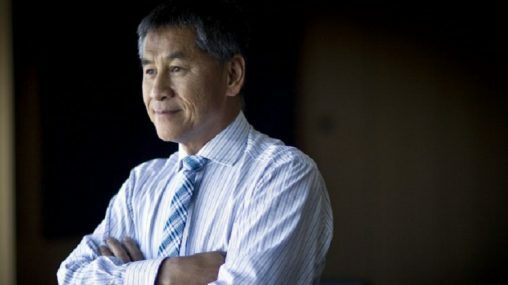 “Ironing systems have seen significant growth but this is from a very low base and it’s important to note that the unit growth has far outweighed the value growth due to the aggressive pricing in the market. This is reflected in the ASPs, where traditional irons have remained relatively static but ironing systems have seen a drop of $16 this year and over $99 decrease over the last 3 years. This is exactly what retailers should be focusing on when selling steam irons: the quick and easy message. Consumers want an appliance that will make this rather dull task more bearable, so steam levels should be high to dissolve creases quickly, and soleplates should ensure maximum glideability and ease of use. Sunbeam has certainly focused on those elements with its Verve and Solus ranges, both of which are getting a makeover this year with new colour variants. All models feature the brand’s Resilium soleplate for smooth ironing and high pressured extreme steam shot to power through creases. The hero of the range is the Solus PerfectTemp iron (SR7001, RRP $129) which also features a digital thermostat for precise temperature control, an ergonomic trigger to delivers a high-pressure burst of steam, safety auto-off and a futuristic LCD screen for easy fabric selection. Sunbeam will be running a series of in-store demonstrations to showcase the features of the Verve and Solus PerfecTemp irons in the lead up to Mother’s Day this year and the brand will also be offering $50 cash back on the entire Verve range; a promotion that Francis said was a great success for retailers over the Christmas period. 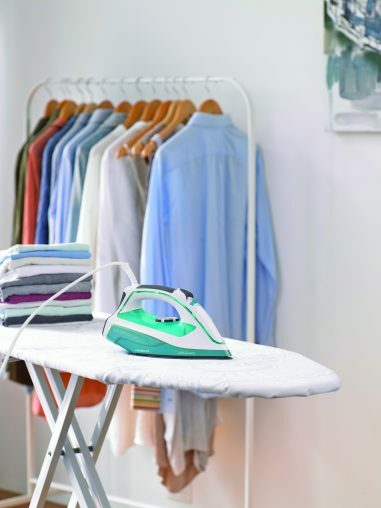 That encouragement to come into store and buy a new iron is something that many Australian consumers need, according to Philips senior marketing manager Tom Paltridge. “We know from buying trends that many consumers are using the same iron they bought up to seven years ago,” said Paltridge. “There is little appreciation amongst consumers of the degradation in internal and external performance. With this in mind, Paltridge reminded retailers that, “consumers should be encouraged to renew or upgrade their irons more frequently”, to ensure the best ironing results. Philips has rolled out a number of advanced features to ensure that the replacement is worth it. 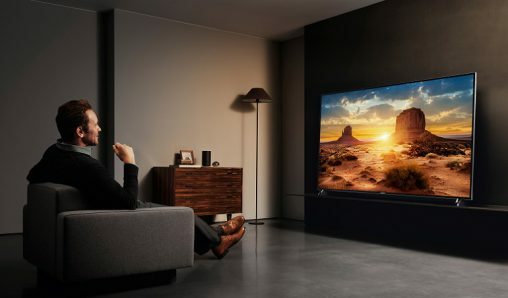 These include the brand’s T-ionicGlide soleplate, which offers, “a 25 per cent better gliding experience than previous Philips models”, thanks to its scratch resistant, 6-layered stainless steel coating. Philips has also developed ‘no dial technology’ that offers one ideal temperature setting for any fabric. 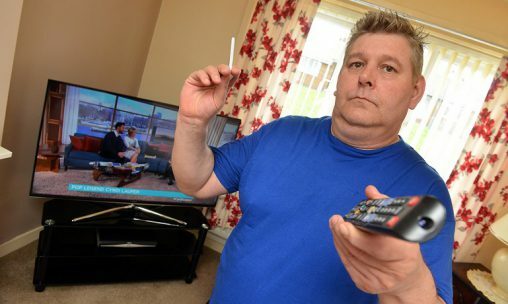 “Irons with this technology have been well received by consumers as it’s one less thing for them to worry about when doing their chores and helps to avoid any incidents of ruining clothing with the wrong setting,” said Paltridge. 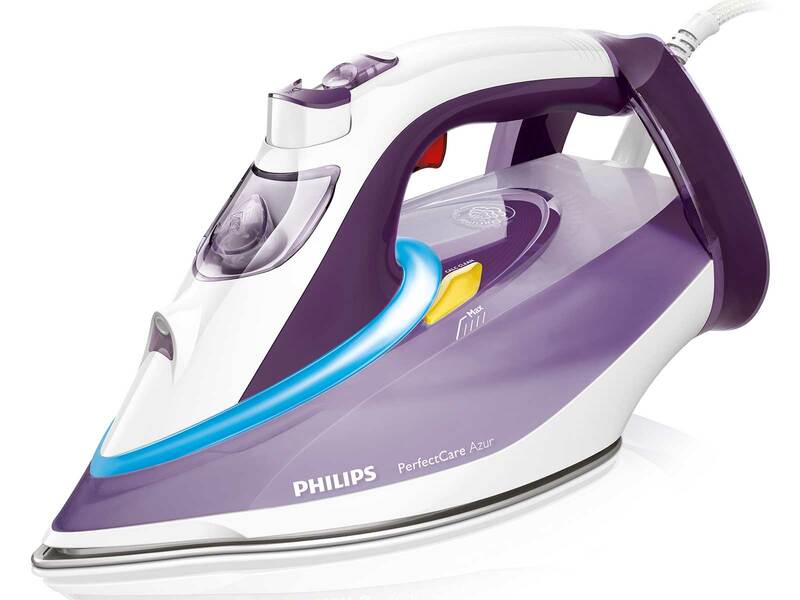 These innovative features are found on Philips’ hero product, the 2,400-watt PerfectCare Azur (GC4912/30, RRP $159), which also boasts 45 grams-per-minute of powerful constant steam and a 180 grams-per-minute steam boost. According to Paltridge, retailers need to demonstrate that investing in a steam iron upgrade is worth the money. 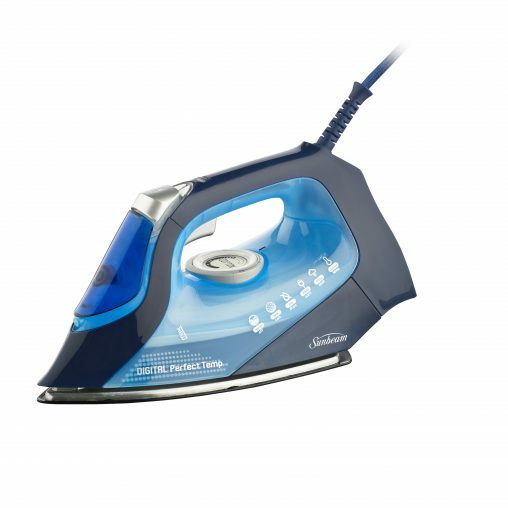 Saphir soleplate is four times harder than stainless steel for superior scratch resistance: Braun TexStyle 7 Steam Iron (TS765ATP, RRP $159). The brand is marketing its steam irons under the TexStyle moniker, with the mid-range TexStyle 5 range (due out in September) and the premium TexStyle 7 range (launched last month) each offering consumers a range of features, benefits and technological innovations. According to Braun category manager Filiz Bensan, the advantages of choosing a Braun iron can be boiled down to a few key selling points. “The two things we focus on with our irons is ease of use — and that comes through glideability and scratch resistance on the soleplate — as well as the overall design of the product,” said Bensan. “When we talk about irons we are really focusing on the soleplate technology and we have two types of soleplate technology: the Saphir soleplate, which is our premium soleplate; and the Eloxal anodised soleplate. The flagship of the Braun range is the 2,400-watt TS765ATP (RRP $159) which features the high-end Saphir soleplate, 170-grams-per-minute steam shot and an ergonomically designed open handle which “makes the iron lighter and easier to use, and also allows the cord to not interfere” making it ideal for both left- and right-handed users. 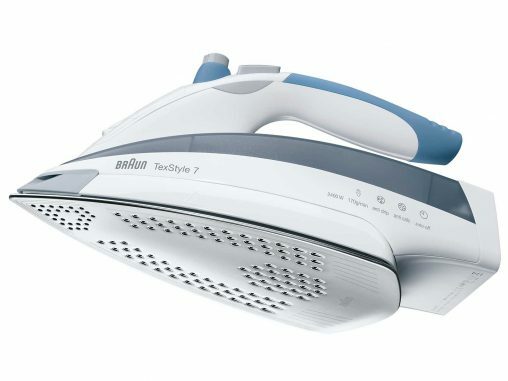 The TS765ATP is also bundled with a clip-on Textile Protector — an innovation unique to the Braun brand that protects delicate fabrics from the heat of the soleplate, meaning users don’t have to sacrifice heat and steam strength when ironing. The Textile Protector is also available to purchase separately for other irons in the range (RRP $49.95), and there is also a Soft Textile Protector (RRP $69.95) with a soft fabric covering ideal for very delicate fabrics. Both Protectors clip on to all the irons across the TexStyle 7 range, including the TS765ATP, TS745A (RRP $139), TS725A (RRP $129) and the TS715A (RRP $119). The range will also be supported by a $30 cashback via redemption from 1 March to 14 May 2014. Last year, Electrolux conducted extensive research into Australian ironing habits to gain a clearer understanding of how consumers make their purchasing decisions. 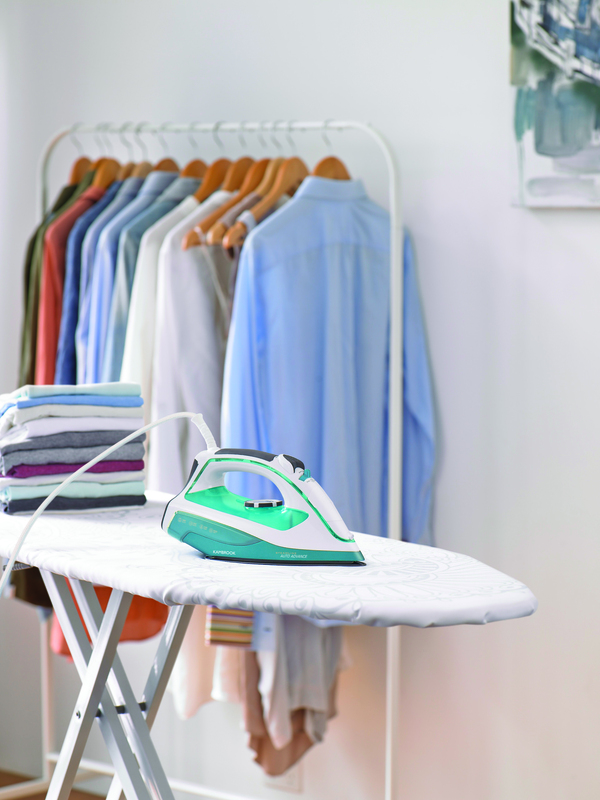 According to Electrolux product marketing manager, Marine Pestel, irons are still more popular than steam stations and steam systems for many consumers. “Steam stations are a growing segment as people are looking for better performance. However, for a lot of consumers, the size of the steam stations and the perceived complexity remain strong drawbacks. For consumers looking for superior performance without stepping into steam station territory, high performing steam irons are still the best tool to get the job done neatly and quickly. The research also found that, when it comes to choosing a product, consumers are looking for good steam levels, a reliable brand, comfort in the hand, reasonable pricing and an appealing design. To better target these consumer desires, Electrolux is adding a new UltraSteam Precision model to its UltraSteam range and upgrading the rest of the line-up with better features. 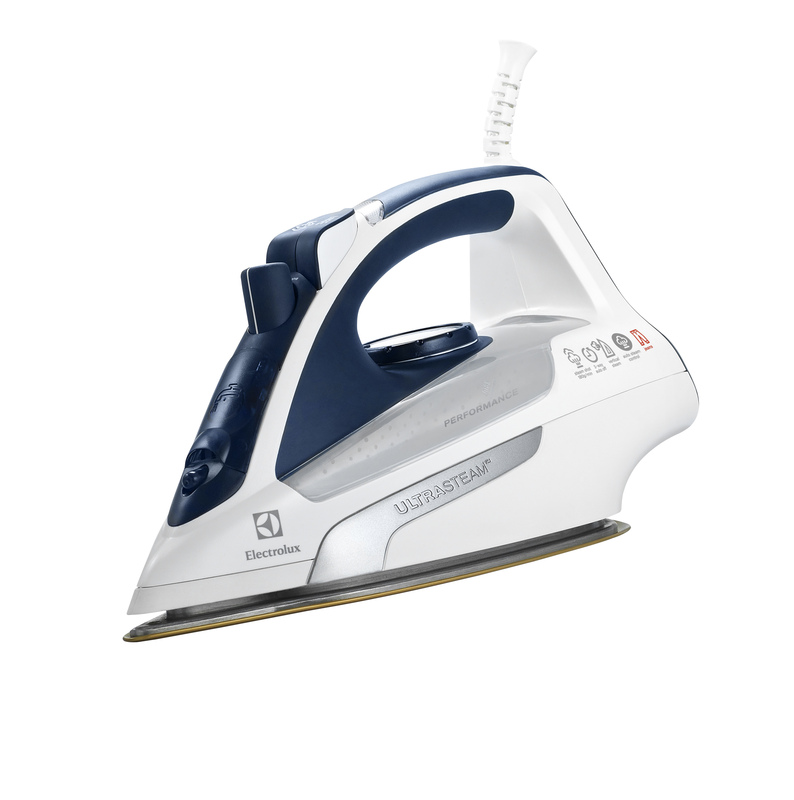 The whole range will feature Electrolux’s UltraSteam soleplate, complete with 500-to-600 micro steam holes (600 steam holes on the Precision range) that are spread evenly over the surface to ensure effective steam distribution and fast ironing. “From our recent research, we understand that some users prefer lightweight irons, and we cater for this need with our new UltraSteam Precision, which offers the superior steam diffusion through its 500 steam holes while being a more compact and lightweight design,” said Pestel. The UltraSteam Precision is available in Juniper Berry (ESI6133JB, RRP $89.95) with 2,300 watts of power and 35 grams-per-minute steam output, as well as the 2,400-watt Polar Blue (ESI6143PB, RRP $99.95) with 40 grams-per-minute steam output. While Tefal proudly boasts that it is “the number one steam generator brand in Australia” according to senior brand manager for marketing, Maggie See, it is also incredibly proud of its strength in the steam iron category. 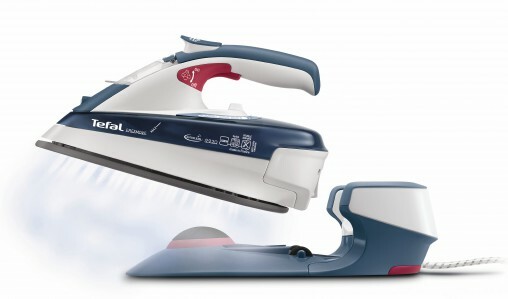 “Tefal offers a range of steam irons for everyday ironing with powerful performance,” said See. “With hassle free, easy-to-use and convenient-to-store features, our range encompasses an iron suitable for every customer’s different needs, ranging from the economical iron to the cordless iron for easy moveability. The 2,400-watt Freemove allows users to iron as they normally would, without the inconvenience of cords getting in the way. The iron features a 170-grams-per-minute shot of steam, as well as two-in-one steam and temperature control which adjusts to create the perfect mixture of steam and heat. It also features an auto-clean soleplate, an anti-drip and anti-scale design and an ergonomic handle with integrated steam trigger. The brand is proud of its unique product offering and, according to See, retailers can expect to see plenty more from Tefal in the future. Unlike some other small appliances in an electrical store, more often than not a steam iron is a ‘need’ rather than a ‘want’. For this reason, Panasonic Home Appliance and Air Conditioning group manager Sophie Barton thinks retailers have a great opportunity for sales, provided they can talk the talk. With this in mind, Panasonic has changed the design of the humble iron to offer more convenience. The 360° Quick Iron (NI-W950ALSJ, RRP $119) features a standard pointed tip at the front, but the soleplate is also pointed at the other end (in a cat’s eye shape) to allows users to move the iron in any direction. “Unique to Panasonic, the radical new design means there’s no wasted motion when it comes to ironing, significantly reducing the time and energy taken to keep the consumer’s laundry pile under control,” said Barton. The soleplate is also made from heavy duty, scratch-resistant Alumite (anodised aluminium, the same material used in the construction of automobile engines) with 116 self-cleaning steam vents to remove the most stubborn creases in as little time as possible. It offers anti-drip capability (to protect delicate fabrics), it can be held upright for vertical steaming and it features a three-way auto shut-off function for safety. For consumers looking for a competitively-priced product without having to compromise on safety features, Kambrook offers quality at an affordable price point, according to business manager Adam Tacey. “The cost of living continues to rise and not surprisingly, high on the list of priorities for consumers are quality, affordable products with practical features and ease of use,” said Tacey. “The success of Kambrook’s garment care range comes down to us including the features that matter most, as well as rigorous testing and staying within a price bracket that is accessible to the majority of purchasers. 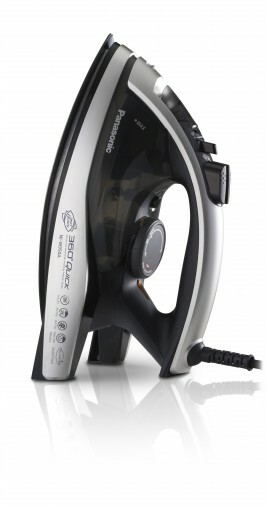 The brand markets the “budget-friendly” Dura Delicate Dry Iron (KI360, RRP $24.95), which offers basic features such as a non-stick soleplate, 1,300 watts of power and temperature control. The brand also has a new generation Steamline model , the Kambrook Steamline Auto Advance Steam Iron (KI785, RRP $49.95), which features 2,400-watts of power, a durable FabriGlide soleplate for smooth gliding performance, and a greater water tank capacity and new collar tip design for hard to reach areas.